Meet Amy Stroup- one of the most synced women in music! You may not know Nashville-based singer-songwriter Amy Stroup by name, but as one of the most licensed women in music, you’ve most definitely heard her “salted caramel voice” (Marie Claire) and finely-crafted tunes on some 467 TV, film, and international ad campaigns. In first half of 2018 alone, Amy’s music and voice has appeared in NBC’s This Is Us, multiple placements on ABC’s Grey’s Anatomy, Freeform’s Famous In Love, and Showtime’s Shameless, award-nominated trailers for blockbusters like Despicable Me 3 and Peter Rabbit, and international-spanning ads for Nike, Snapchat, British Airways, Lexus and Amazon Prime (to name just a small handful). Amy is gearing up to release her third studio album ‘Helen of Memphis’ (Aug. 10), featuring intoxicating collaborations with One Republic’s Tim Meyers, the SUPERCOOKIES production team (Kendrick Lamar, DRAM) and Danger Twins partner Andrew Simple. The bewitching, drum loop-driven, electronic pop sound delivers Amy’s undeniable sonic charm that’s previously been praised by the likes of Rolling Stone, USA Today, Billboard, American Songwriter and more. 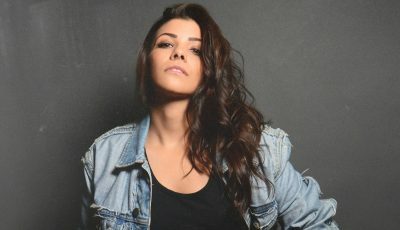 This Boston-born, Texas-raised and now Nashville-resident has fronted groups Sugar & The Hi-Lows and the Danger Twins, and has grown to be one of the most sought after vocalists and lyricists in music today. 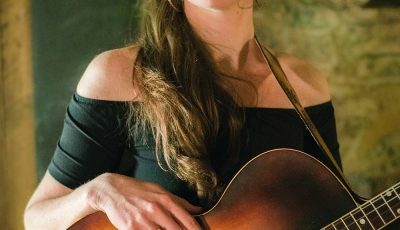 A sucessful singer/songwriter, she’s a regular collaborator with GRAMMY-winning talent and #1 hitmakers, but is stepping out solo on her latest LP. Stroup is an insightful and passionate artist. She was recently including in the extraordinary, original and diverse book, “200 Women.” Amy’s voice serves as the theme song for the campaign, and her story is one of the countless from around the world. Whether famous or unknown, celebrated or marginalized, rich and or, leaders, victims, or survivors, all the women were asked the same questions about what really matters to them. The result was a compelling volume filled with stories of empowerment, strength and initiations to bring positive change into the world. I am packing a bag for Hawaii, leaving in the morning for a week of writing and then opening for Kenny Loggins. I love an artist out of London’s song “SINES” by Greg Wanders. Add it to all your playlists. I think the only constant is change in the industry. This year has been about the same. Adapt and survive. As far as goals, my goal was to release a solo record and make time for my own artistry amongst all my collaborations. On August 10th, I’ll do that and am so excited! When I moved to Nashville in 2001, I wanted to be just a songwriter for other people. I thought my voice was just ok, as far as standing up to female artist voices I heard growing up. BUT I’ve been doing the artist thing full time since 2009. So it’s been a crazy turn of events for me, people it turns out love my quirky voice and think it’s artistic. So I’ve been going with that the last couple of years and able to make a nice living, long term I think I will always see myself as a songwriter though. I am a mut. Born in Boston, lived in Memphis one year, Florence /Muscle Shoals, then Abilene,Texas before making Nashville Home in 2001. I am a lot of places. Moving around so much, I learned how to make good friends with lots of different types of people. ( Aka people in Boston are a lot different than people in Abilene, Texas.) I think it serves me well when I play live, I can relate to lots of different people, quite quickly and see what we have in common more than what is different. I think what has stayed the same is what I value. I love making music with people who are like friends. I love collaborating. I love growing, and not just making one type of song 100 different ways. I think what has changed is how people receive music and consume it. When I first started making music in high school, you would buy music on CD’s. Then college was iTunes, now it’s all streaming and youtube. Making good songs is the consistent currency, how people hear it has changed. Your music has been featured in a whopping 467 TV, film and international ad campaigns! What has been the most memorable project to have your music be a part of? Do you recall the very first time you heard one of your songs on TV? The first placement I ever had was a music supervisor named Natalie Wali was working on a show called “Brother’s and Sisters” on ABC. My agent Michele Wernick, called and said, “Your song “Hold Onto Hope Love” is going to be on a rooftop scene on Brother’s and Sisters, playing while two characters are kissing with fireworks going off in the back ground!” I had a party and all my friends came over to watch the first placement. It was super memorable night. I feel a little like Taylor Swift acting surprised when she is at an award show, but I have to say it never gets old to have your song on TV or in a movie. I love what I do. I love having my songs on tv, however big or small the moment. I’m just thankful to be apart of cinematic story telling. 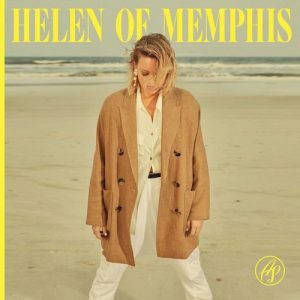 New week you will be releasing your third studio album called “Helen of Memphis.” What was it like putting this collection together? Did anything surprise you about the overall process of making this one? Did you approach making it any differently than your previous two albums? I have released over 50 songs with my other side projects like Danger Twins and Sugar and The Hi Lows, and I AM ORFA. Those projects have all had their share of success, so setting them aside for a moment to release something solo has been very rewarding but also tons of work. In collaborations, you can rely on your band-mates to share the load. For this project, it’s all my team at Milkglass and myself. So it’s been tons of work, but I have to say rewarding. My approach was different for these songs than other records, I was talking to a photographer yesterday about how I usually will have a voice memo of me singing to a piano or guitar for song starts. For this record, when I went into a room with another writer, if they were a phenomenal bass player, or drummer…we would start there instead. Many of the lyrics were written from the subconscious in the moment. I didn’t want to over think anything, just let the music speak. So these songs are that. Open for interpretation and hopefully richly meaningful, more meaningful than me conjuring up a message. 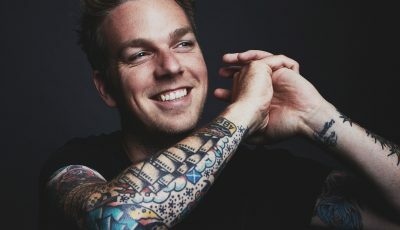 How did you get to work with One Republic’s Tim Meyers on your album? What was it like working with him? What about working with the SUPERCOOKIES production team? Tim Meyers was incredibly kind and super talented. We met at his studio near Malibu and chatted briefly, but quickly just got into songwriting. He had a cool guitar hook on acoustic, and we went with it. We ended up writing and recording two songs that day. Hero is the one I felt, fit my record the best. I can say writing with Supercookies was hopeful. Writing partners, Mary Hooper, and I set off to L.A. to take on some fresh collaboration early in the writing and recording phase. We were paired to write with the SuperCookies production team at a studio in Sherman Oaks with an outdoor basketball court. We immediately hit it off with the guys and with the this sweet bass line under a beat that Wesley was messing with. We kind of all stopped talking and I just started singing melodies over it. The song came in about two hours. “Magic” mixes my throwback melodic tendencies, their modern hip hop, and Mary’s sweetly-penned lyrics. The songs talks about if you see something Magical in someone, why not go ahead and say it? It was the first single from Helen of Memphis and really was a breakthrough song that gave me a vision for the rest of the album and her possibilities. While it’s difficult to choose, can you pick out a couple of your favorite songs on “Helen of Memphis” and talk about how they were inspired and got to be on this album? I can’t! THat’s like asking a mom which kid is her favorite. I can tell you Made makes me dance. Stare Remix, makes me giddy. Far Side of The Sea is a prayer. Made: I wrote this with a friend in LA named Rob Kleiner whom I frequently write with on my left coast trips. He has worked with a tone of amazing people from S.I.A, to LP, to having his own success on the Twilight movie soundtracks. I was in a disco funk mood that day and we dove in and made the track you hear. I didn’t want to over think it, I just wanted it to feel good. I love what we got. It’s talks about that it’s not about “the money”, but getting to write songs with the people I love and do what I love the makes me feel like I’ve got it made. Stare: You know the feeling of really being “seen” by someone without words exchanged? This is a song about that powerful exchange. When you look at someone and they don’t have to say anything you just have that feeling. The power of just eye contact. I remember i was listening to a heavy dose of Chet Faker, James Blake, Tame Impala and Christine and Queens at the time. Their tones definitely influenced the vibe this song. I wrote it with Jason Walker and Teddy T. I have written with Jason for almost a decade now. Ruslan ended up producing this one too. Far Side of the Sea: I wrote this song with Ruslan Odnoralov who produced much of my record Helen of Memphis. I was playing the guitar line that you hear at the beginning and he recorded a sample of it and started looping it. I loved how the sounded, so I just started mumbling words over the melody line. The whole song fell out of my mouth within an hour or so, it came really quickly. It was sort of that, zone out and let the subconscious take over which I think always lets the most interesting lyrics come out. Ruslan added the horns and other tones on the track and his soon to be wife came over and played bass. When I was reflecting on the lyrics, I realized that there were really close to a Psalm my mother kept on our family refrigerator growing it. Psalm 139 says,” Even if I make my bed in the depths (hell) you are there.” I think that is where the line, “If I go to the far side of the sea” must have come from. I had just been through a break up and had that miserable “I’m going to be alone forever” feeling. I think the song was like a prayer for me, hoping that I am will not be alone and not forgotten by God. I love summer festivals like Bonarroo or outdoor shows like at Ascend Amp, so I hope to hit the festival stages next year and play some out door amphitheaters. I am doing a fall west coast tour, coming up really soon. Starting in Seattle, Portland, then going all the way down the coast to LA. I am super stoked and can not wait!!!!!! My favorite all time show so far in my life was opening for Kacey Musgraves at our Sold Out Royal Albert Hall show in London. My parents got their passports for the first time and flew over. It doesn’t get much better than that. I think we are in the strangest political climate I have ever seen. It’s strange because a president is getting away with so much wrong and it feels like people are more informed than ever, and don’t seem to take action. I hope America isn’t falling asleep. I think what we are seeing, is having more information is a far cry away from taking action. We have to have people standing up to the indecencies, lies, and hate spreading around. It’s really hard for me to watch the news right now, but we the people still have the power to change the status quo, if we can get off our screens and actually do something about it. If I do say something at my show, I hope it’s way more thought out and intelligent than a Donald Trump tweet. Social media & the ever changing technology is a huge part of an artist career now a days. I think it will only increase in it’s importance. Part of what makes a successful artist is simply, being where the people are. People are on their screens, even at live shows. You are watching people film the whole thing over their heads. I think it’s a double edged sword. Social media can be great for getting a message out to large amounts of people instantly, but it’s poor for actual connection. That’s what my song “Stare” talks about. It’s powerful when you actual look at someone you love and “see” them. When I sing “polychromtatic, dramatic, can’t live without it.” That’s what I’m talking about, there is simply nothing better than actual human connection. I like when someone hears a song and thinks it was written for them, as in it fits whatever moment they are living. And I love when they tell me, however it is…via facebook, instagram, twitter or comes at supports a show. Fan reactions are the best however you can get them. A guitar. It’s all you need! Great stories, movies that matter. Movies like RBG or Won’t You Be My Neighbor, or movies inspiring social action and change. Also, anything Coen Brothers, Wes Anderson, or with actress Mary Steenburgen. Cus she is my fav. TV: I love Big Little Lies, Handmaids Tale, This is Us, anything with huge heart, depth, and esteems women!! Hope to live well and be whole.